Does SalesforceIQ CRM sync with my email address book? Do my Contacts sync both ways? How often do Contacts sync to SalesforceIQ CRM? Where can I find my synced Contacts in SalesforceIQ CRM? I deleted a Contact in my email address book, but it didn’t delete in the Contact Gallery. How do I turn off automatic Contact sync? How do I update a Contact? I updated a Contact in my email address book, but the change isn’t appearing in SalesforceIQ CRM. Yes, Contacts are imported automatically via any connected email Account. SalesforceIQ CRM syncs both Google and Outlook Contacts. Contact sync is a one-way data transfer from your email Address Book to SalesforceIQ CRM. Actions you take in SalesforceIQ CRM—for example, updating a Contact name—are not reflected in your email address book. The sync interval varies depending on your email server. Syncs usually take place every 5–15 minutes. Synced Contacts appear in your Contact Gallery. They don’t appear on any of your Lists unless you add them. SalesforceIQ CRM does’'t delete any of your data across the application. In this situation, we recommend archiving the Contact. To do this, disable email Contact sync. There are numerous ways to update Contact information. Learn more here. 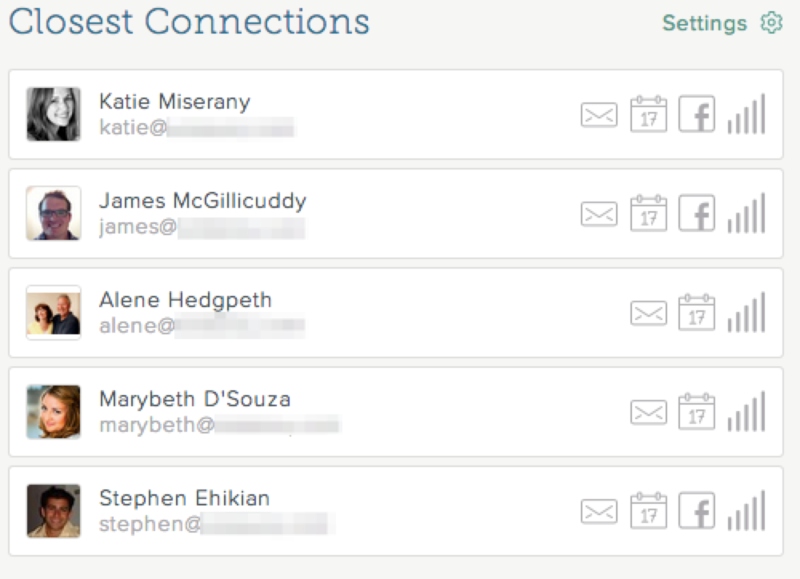 SalesforceIQ CRM only syncs newly created Contacts. It doesn’t track edits to existing Contacts.